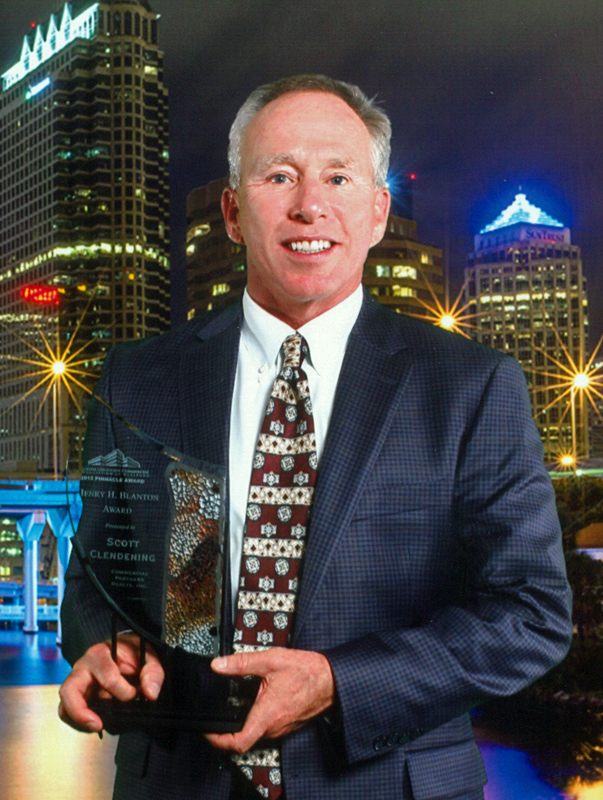 Commercial Partners Realty President Scott Clendening was recently honored by the Florida Gulfcoast Commercial Association of Realtors (FGCAR) with the Henry H. Blanton Lifetime Achievement Award. Clendening was presented the award on March 31st at FGCAR’s 2015 Pinnacle Awards ceremony at the Westly Event Center. Scott is a founding member and past president of FGCAR, one of the nation’s first commercial realtor organizations, and has been a commercial real estate professional in the Tampa Bay area since 1985. 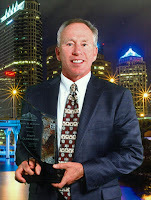 He founded Commercial Partners realty in 1995. Clendening is also active in various industry organizations and has led local fundraising events for many charities. For the past 7 years, Scott has volunteered with Pinellas County’s Ready For Life, where he is now the Chair of the Board of Directors and mentors young adults who are aging out of the foster care system. Scott says one of his greatest joys and accomplishments is that he has been happily married to Karen for 26 years and has three beautiful daughters.